Are Crossover Notebooks the Next Wave? It was inevitable that "crossover" laptops would make their debut. Netbooks are wildly popular these days and are no doubt here to stay, but the criticisms leveled at them by their detractors, including Steve Jobs and Apple COO Tim Cook, while missing the central point somewhat, aren't entirely groundless. Netbook keyboards are mostly uncomfortably undersized, their displays likewise (although much better on both counts than the iPhone and iPod touch, which Mssrs. Jobs and Cook have proposed as netbook alternatives). Netbooks have traditionally been underpowered, with not a whole lot of RAM or data storage capacity, and battery life hasn't necessarily always been up to much. However, many folks have decided that the netbook virtues - compact, convenient size and light weight, quick boot time, cool running, and, of course, low prices make the compromises livable - no match for a full-sized and featured notebook, but as someone observed last week, providing "good-enough" computing for folks who don't need or want a Core 2 Duo powered portable workstation. IDC research analyst Jay Chou reported on Friday that netbook shipments worldwide increased sevenfold to roughly 4.5 million during Q1 2009, year over year, and now account for approximately 8% of all PC shipments during the first quarter. 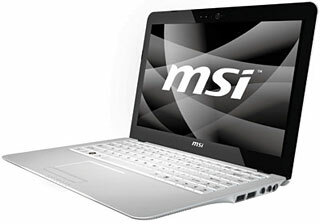 A new iSuppli report, Netbooks and Emerging Form Factors: PC Saviors? ", by Principal Analyst Matthew Wilkins, and Senior Analyst Peter Lin focuses on netbooks as the fastest-growing segment of the PC market today and projects the category reporting 2009 unit growth in excess of three times the size of any other segment in the notebook market. However, as popular as netbooks are, some folks would prefer to have just a bit more power and storage capacity, a keyboard large enough for comfortable typing, and a display that doesn't make you squint in a smaller-than-traditional subcompact and relatively inexpensive notebook package. The MacBook Air would meet those criteria were it not for its punishingly inflated price, but several PC vendors are stepping up with much less expensive laptops that do likewise. 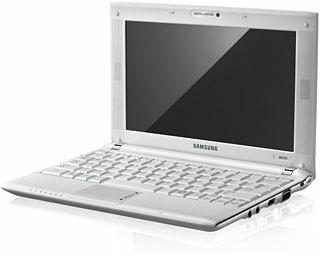 In his report, IDC's Jay Chou also notes that Samsung, a relative latecomer to the netbook fray, is offering users a better overall netbook experience with its NC10 netbook (from US$415) - thanks to its larger than typical 10.2" 1024 x 600 pixel screen and decent-sized keyboard - but Samsung is also just out of the gate with a couple of even more powerful and capable machines that are arguably more than netbooks but still short of full-fledged notebooks, ergo "crossover" 'books - their new enterprise-targeted N110 and N120 models, which J.H. Kim, President of Samsung Electronics America's Information Technology Division, says offer enhanced battery life, multimedia speakers, and a larger keyboard and touchpad to satisfy the needs of users looking for audio video capabilities while also supporting the road warriors needing extended battery life. The Samsung N110 mini notebook measures 10.27'' (W) x 1.19'' (H) x 7.3'' (D), weighs in at 2.78 lb., comes with a 93% full-size keyboard and a 10.1" LED SuperBright glossy display, and a 6-cell (5900mAh) lithium battery that provides battery life up to 9 hours of continuous use. There is a 1.6 GHz Atom processor, 1 GB of RAM, and a decent-sized 160 GB hard drive (the latter is 40 GB larger than Apple ships with the $999 entry-level MacBook) with prices from US$445 and widely sold out. 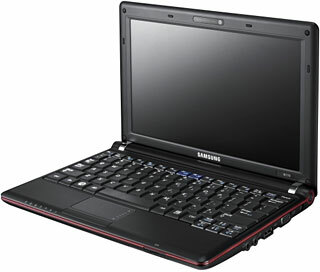 The slightly larger and heavier Samsung N120 mini notebook has a 10.1" 1024 x 600 display and is 10.71'' (W) x 1.71'' (H) x 7.4'' (D), weighs 2.8 lb., and offers more multimedia support as well as a 97% full-size keyboard with trackpad, 6-cell (5200mAh) lithium battery providing battery life up to 6 hours of continuous use, plus a SRS 2.1 channel system featuring two 1.5 watt stereo speakers and a dedicated subwoofer and an integrated 1.3 megapixel digital motion camera provides videoconferencing capabilities. Prices are around US$460. 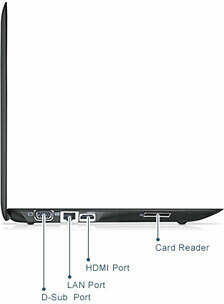 The N110 and N120 are available through Samsung resellers and distribution channels, which can be located by calling 1-800-SAMSUNG or by visiting samsung.com. Micro-Star International (MSI), whose netbooks have been one of the most popular platform for "Hackintosh" installs of OS X, has just announced its colorful new Wind U100 PLUS laptop - another machine that further blurs the netbook/notebook dichotomy into crossover territory. The Wind U100 PLUS comes in several attractive colors - including two new ones, rose champagne and metallic blue - in addition to continued availability of Imperial Black, Angelic White and Regal Red, giving Wind purchasers an enticing palette of color choices. 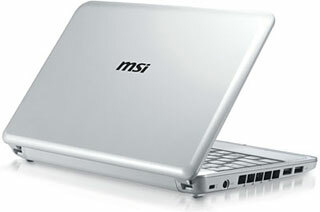 Based on the established Wind U100 netbook, MSI's U100 PLUS is powered by the Intel's latest and most powerful yet Atom processor, the 1.66 GHz N280, which accomplishes the neat trick of enhanced performance combined with smaller physical size and lower power consumption, drawing a minuscule 2.5 watts, plus Intel GMA 950 integrated graphics, and supports up to 2 GB of RAM. The featherweight (1 kg/2.54 lb.) Wind U100 PLUS features a 10" widescreen LED backlight display with 1024 x 600 resolution, three USB 2.0 ports, 802.11n WLAN and 1.3MP built-in webcam, two channel stereo speakers, a microphone, a 4-in-1 Card Reader (supports SD. MMC, MS, and MS Pro), and an optional external DVD burner may be added. The Wind U100 measures approximately 26 cm in length and 18 cm in width, and its thinnest part measures 1.9cm thick. 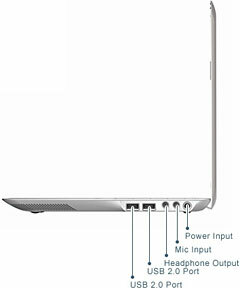 Even so, the keyboard and touchpad are more generously-sized than is typical with netbook computers, with key-spacing increased to to 17.5mm. Another notebook feature of the Wind U100 PLUS is that it comes with a real, notebook-sized 2.5" 160 GB hard drive, and MSI claims up to six hours runtime with the standard battery package. Of course, the Wind U100 PLUS comes with poky Genuine Windows XP Home, but folks looking for a crossover netbook/notebook might find the new, free Ubuntu Linux 9.04 more congenial, or, if so inclined a hacked, EULA-busting install of OS X 10.5 "Leopard". 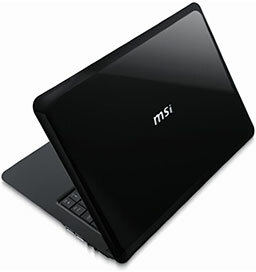 Also new from MSI is the X340 X-Slim Series ultra-slim notebook, which is clearly inspired by the MacBook Air, but offers more connectivity and expandability than the Air at a more reasonable price. The X340 is only 6 mm at its thinnest, 19.8 mm at its thickest, and the entire notebook weighs 1.3 kilograms (MacBook Air - 1.36 kg), making it the world's lightest and slimmest 13" notebook, and the first equipped with 16:9 LED backlight widescreen - ideal for watching movies and HD videos. X340 is also equipped with MSI's ECO Engine power management system providing a selection of five different modes: office, gaming, movies, presentation, and turbo battery. The X340 comes with Intel's new ultra-low power Core 2 Solo consumer ultra-low voltage. (CULV ) processor and Intel GS45 + ICH9M-SFF graphics chipset, and integrated WiFi+ optional WiMax, up to 450mbps 802.11 b/g/n), an HDMI Digital Terminal Interface offers more than 5 GB of transmitting bandwidth, a 1.3 M webcam, 10/100/1000 GB Ethernet, two USB ports, IEEE 802.16e WiMax iWorldwide, 802.11b /g/n WiFi wireless Internet access, Bluetooth, a 2 in 1 card reader (supports SD/SDHC/MMC), a microphone, mic-in / headphone out audio ports, supports up to 2 GB DDR2 667/800 MHz RAM, a full notebook-sized 2.5" 250 GB HDD, a 4-cell battery good for up to a claimed seven hours' runtime, with an 8-cell battery available, and can be had with an optional external DVD Super-Multi optical drive or Blu-ray DVD Drive. Left and right sides of the MSI X340 X-Slim Series. 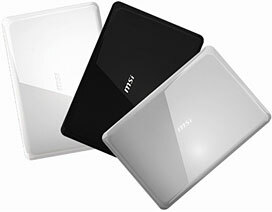 The X-Slim X340 comes in three colors - pearl white, midnight black, and sci-fi silver. Pricing has not been announced yet, but is anticipated to be in the $500 neighborhood. Other crossover 'book candidates include the 10.9 x 7.6 x 1.1 inch, 3.2 lb. 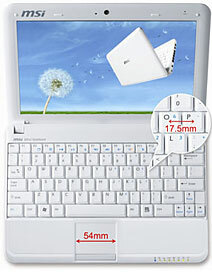 ASUS Eee PC 1004DN; Dell's $499 Inspiron 13, which has a non-Atom CPU and a 160 GB hard drive, and supports up to 2 GB of RAM, but is a bit hefty for this category at just under five pounds; Samsung's $550, 11.5" x 8.5" x 1.2", three-pound, 12.1" display NC20 with its VIA Nano processor and VX800 chipset, 18.5mm key pitch keyboard impregnated with germicidal silver ion powder. Aside from the too-expensive MacBook Air, which does have a Core 2 Duo processor, a full-size keyboard, a 13" 1280 x 800 display (higher resolution than netbooks and most crossover notebooks), but only a 1.8" iPod-type hard drive (or optional SSD), is matched or put to shame by these much cheaper units in terms of connectivity and expandability, Apple is absent from crossover 'book space - and arguably losing sales to netbooks, with Mac notebooks down sharply in Apple most recent financial report. We may never see a sub-$500 Apple netbook, but I'm convinced that they won't be able to stonewall crossover 'books forever.